Driving through the Boranup Karri Forest, near Margaret River in the Leeuwin-Naturaliste National Park, Western Australia. Growing up to 90 meters, Karri trees (Eucalyptus diversicolor) stand amongst the tallest species in the world. This image belongs to the travel and nature stock photo library. This stock photo of Boranup Karri Forest is available for licensing for commercial and editorial uses including websites, blogs, books, magazines, brochures and advertising. Restrictions may apply for images which contain third party copyrighted material or sensitive subjects. Photos of artwork are for editorial use only. 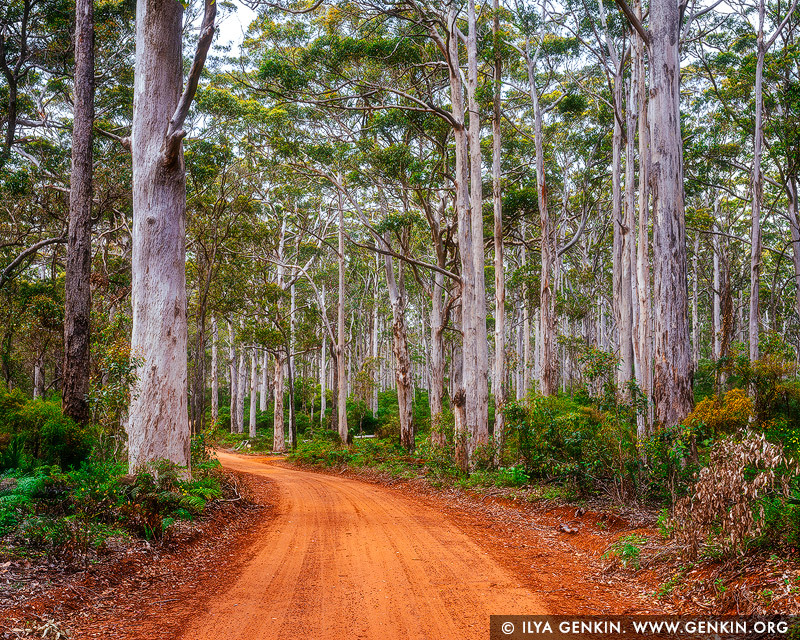 This image id WA-KARRI-FOREST-0002 of Boranup Karri Forest, is copyrighted © by Ilya Genkin. This is not a public domain image.